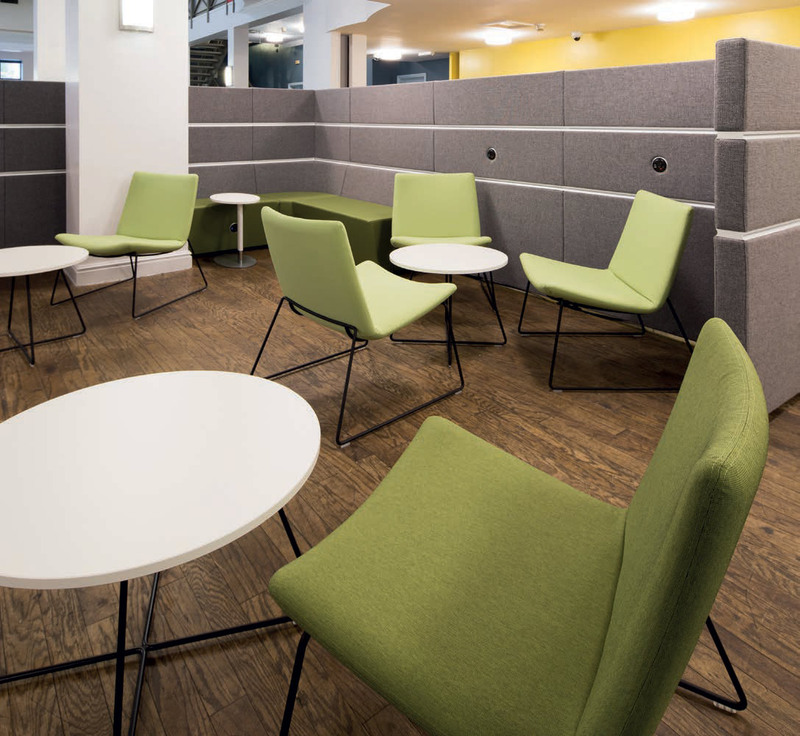 Cardiff University were looking to refurbish and update their 4,600ft2 resource centre and had tasked Paramount Interiors to supply and install the furniture. The open plan space had fixed pillars positioned around the centre, meaning the furniture had to be adaptable and flexible to fit the space. The space was to be predominantly used by students and needed to offer a variety of functions such as to socialise, to offer privacy, to eat and to collaborate. The furniture needed to be able to adapt to these different student requirements. The versatility of our modular Hive allowed it to flow and mould around the fixed building structures and features, whilst adding privacy and defining the different areas through the use of high back screens. Back-to-back Cubbi modules were added to create small alcoves in the vast open plan area, providing the much needed privacy away from casual seating areas and sociable spaces. Swoosh lounge chairs were dotted around the space, suiting with Hive and sitting alone to create group areas, in bright and colourful fabrics.